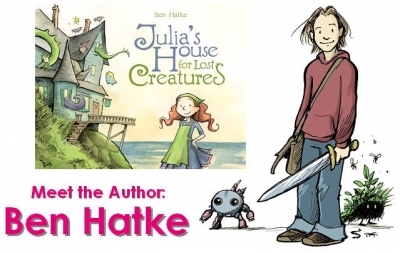 Ben Hatke: Wizards and Libraries Forever! Usually we leave the library laden with treasures, grateful and excited. This time, we brought our treasures to the library, and not surprisingly—because libraries are magic—we left richer than we arrived. 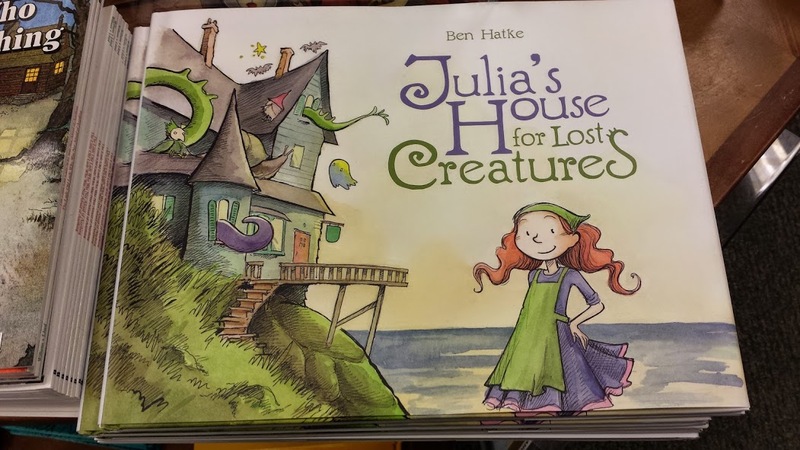 We got to know the fabulous Julia’s House for Lost Creatures and take one home, have our Zita books signed, and heard an awesome talk from artist and author Ben Hatke. 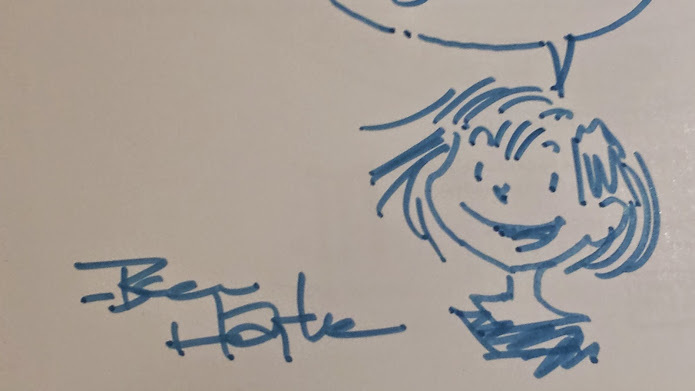 Not only did the kids get his signature and their book personalized with their names, but each also got an unhurried sketch in their books—the bird from Julia’s House for Lost Creatures, One or Strong-Strong or Zita from the Zita series. Oh, there’s more. Yes. 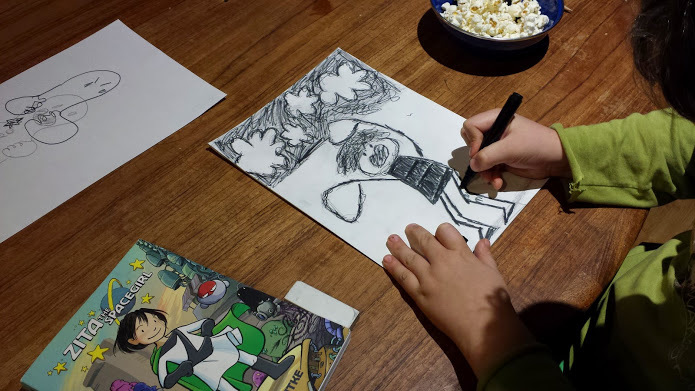 There was a great talk about books and illustration, an art game (will have to try this one at home), a reading of Julia’s House for Lost Creatures and a reading from Ben’s upcoming book. 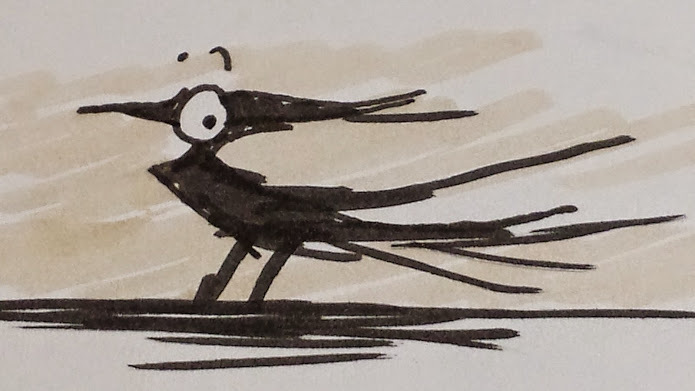 And one for me, my absolute favorite (so far) from Ben’s InkTober series, The Widow of the Outlands. 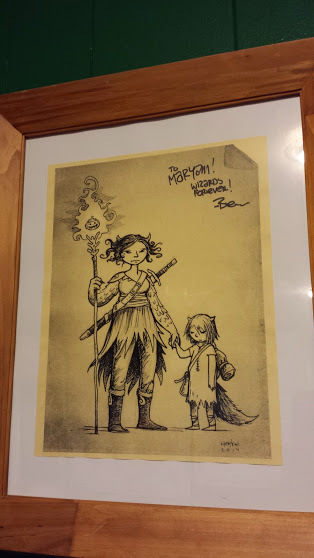 That’s right, I framed it. Wizards Forever! 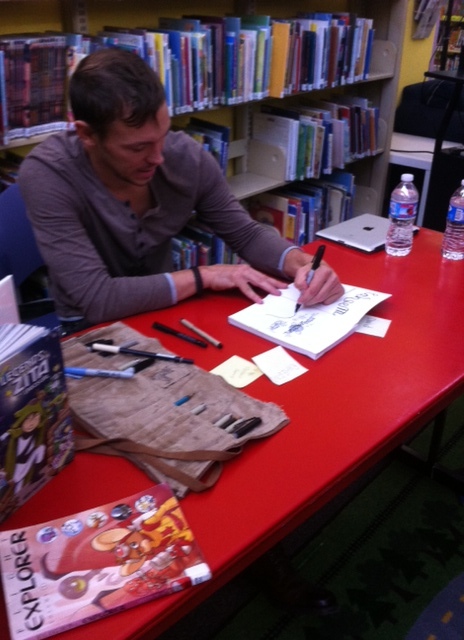 And Artist-Authors! And Libraries! Yes, definitely. Magic all around. 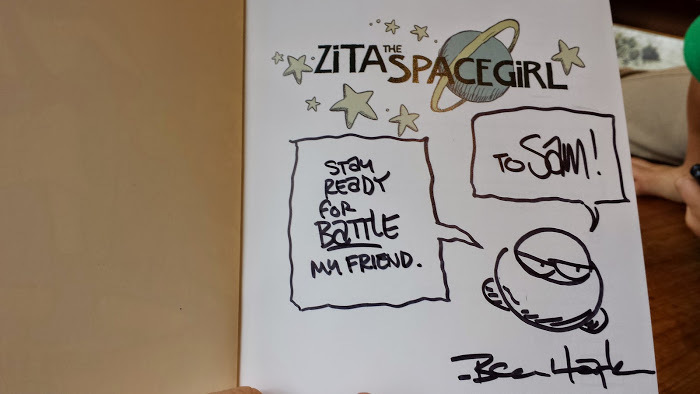 Tagged as author., Ben Hatke., graphic novel., illustrators., Inktober., library., Zita the Spacegirl. 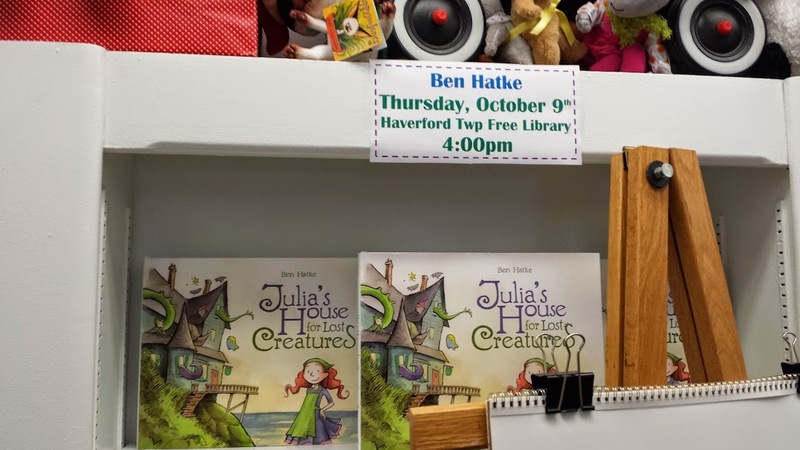 Philly locals: coming up at the Havertown Library on October 9th, a visit from the creator of Zita the Spacegirl and Julia’s House for Lost Creatures! 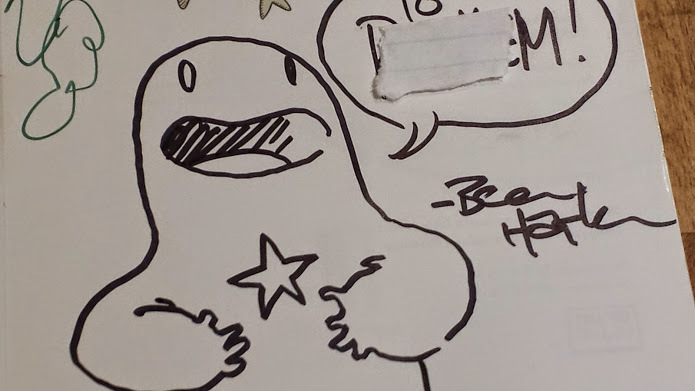 You can hear the squeeing from there, ya? 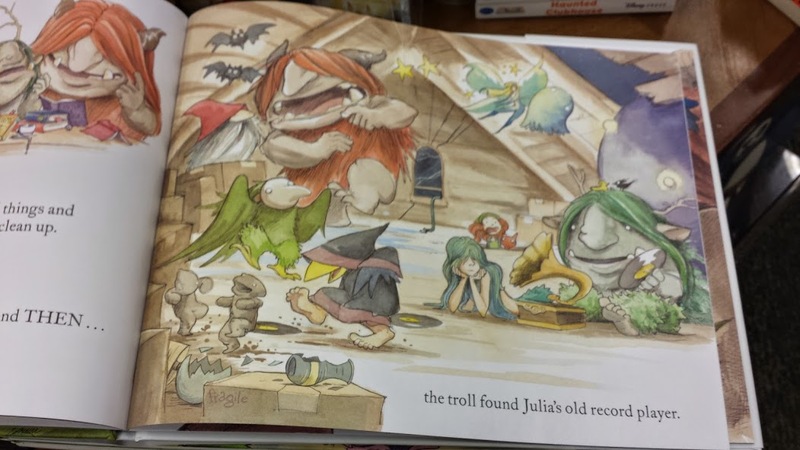 Now it all makes sense why I haven’t snatched up Julia’s House for my kids yet—I was waiting for this. Only, ahem, without knowing it. We can buy the book, ask him to sign it (or you know, huddle at the back and be too shy, whatever), and then read it piled up in a comfy library chair (yes, the four of us will fit, trust me). Thanks, Universe. Now… where’s my calendar and a big red marker? 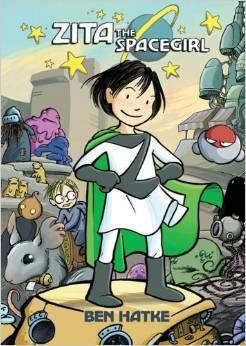 Tagged as Ben Hatke., books for kids., Julia's House for Lost Creatures., library., local art., Zita the Spacegirl.